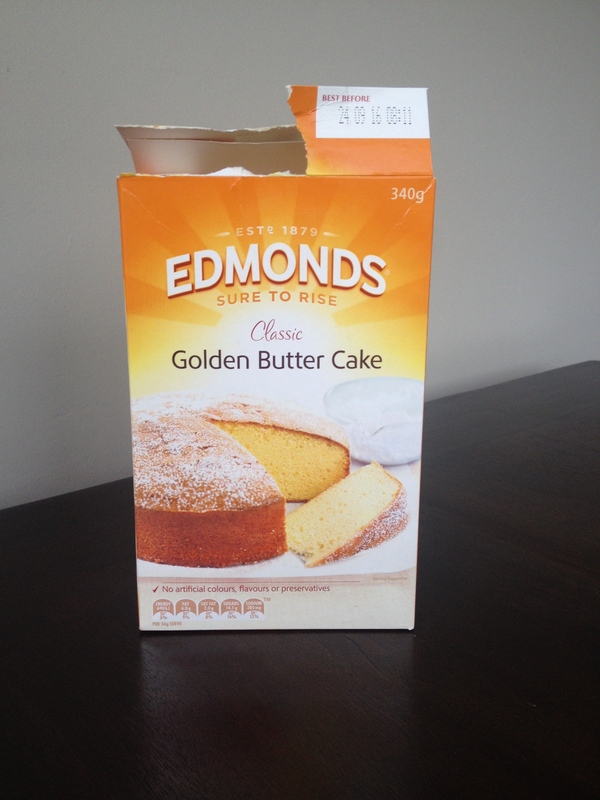 It all beings with a packet of Edmonds butter cake mix. I haven’t bought cake mix for years. It gives me a little guilty pang and I feel like I should be making my own from scratch. One of the last times I used cake mix was a formative baking experience back in the mists of time. I had to produce a cake for Girls Brigade and Mum, sick with the flu and no doubt not feeling up to chaperoning a junior baker in the kitchen, bought me an orange cake mix. I proudly presented the finished product to the family table and Mum, who probably wanted to eat anything else in the world apart from a vivid orange pile of stodge crafted by a 10 year old, gallantly rose from bed and forced down a bowlful. Being the anxious kid I was, I decided then and there if anything happened to Mum I would always remember that moment. Probably a little hysterical on my part (I always was a worrier) but it was a very touching moment nonetheless and I still appreciate her sucking it up for the sake of my feelings. Set the oven to 180 degrees celsius. Combine the coconut and cake mix in a bowl. Edmonds offers you the choice of doing this by hand or with a food processor. I don’t think you need a food processor, I did this by hand very easily. Cut in the butter until the mixture resembles breadcrumbs. 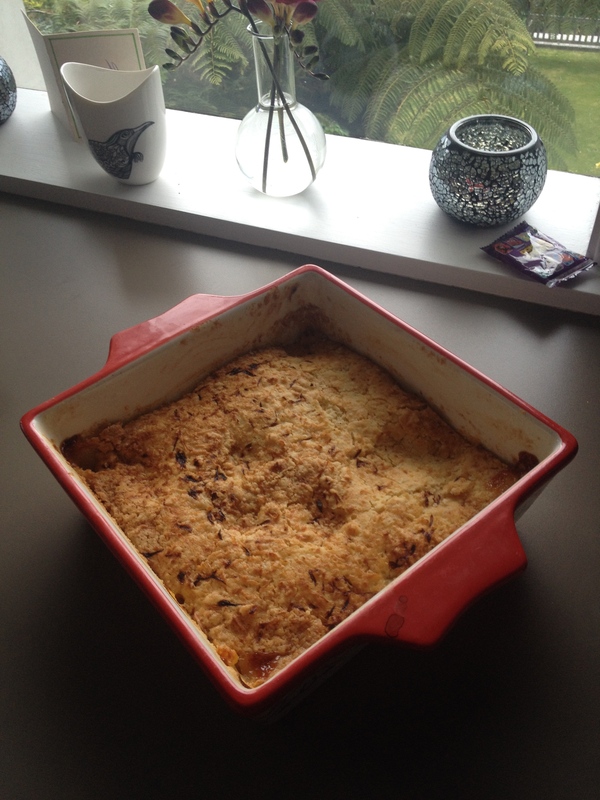 In another bowl, combine the stewed apple and lemon rind and put in the bottom of a greased, oven-proof baking dish. Spoon the cake mixture over the apples, and then combine the water and lemon juice and pour this over the top. Bake for 55 minutes or until pale golden and firm to touch. You can serve this hot or cold. 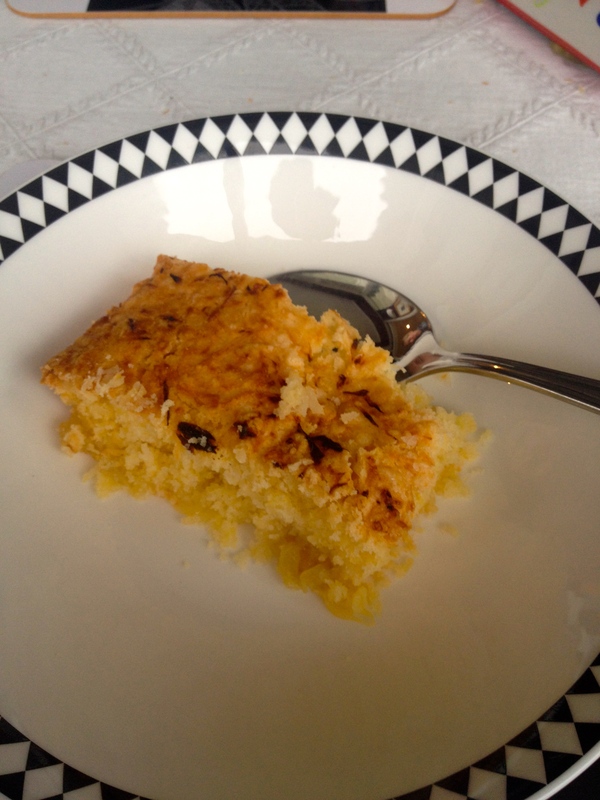 The apple in my version caramelised rather charmingly at the corners of the dish and the coconut toasted up a little in the topping. We had ours semi-warmed with some yoghurt and it went down a treat, I hope particularly for my Mum.